There’s nothing quite as satisfying as being able to sit comfortably when you concentrate on your daily tasks. Whether you’re working at a desk or watching TV at home, it is important to have a relaxed mode of sitting so your body can remain relaxed. Kneeling chairs offer a number of health benefits, but you’re probably wondering what is it that makes them stand out from other chairs? So to find out more about what they have to offer, here’s our guide to the different types of kneeling chairs. Kneeling chairs are a unique seating alternative for those who want to improve their posture, or for those who are suffering from spinal or coccyx pain. 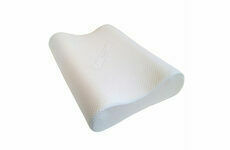 They are specifically designed to distribute your weight more evenly while keeping you comfortable. A kneeling chair will allow you to sit at an angle where your thighs can rest about 60 to 70 degrees from vertical to make sitting more relaxed for your legs and back. 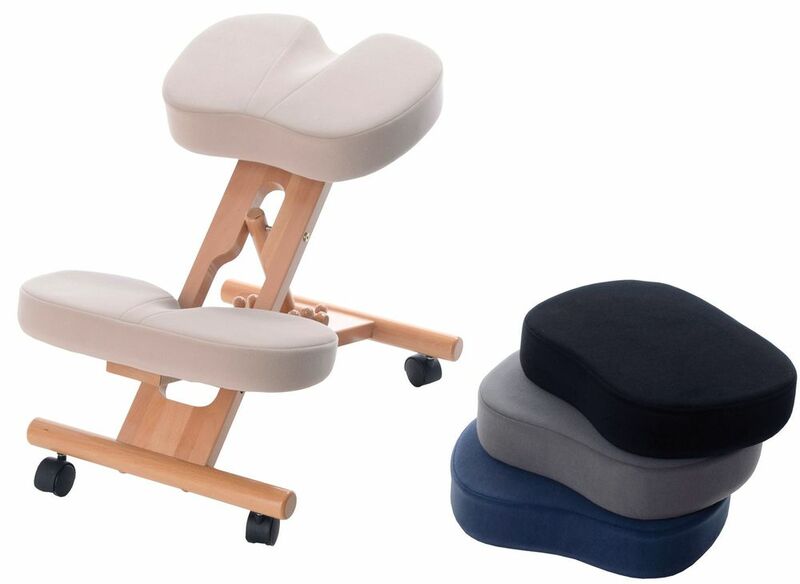 Ergonomically made to reduce the pressure on your body, kneeling chairs are available in a variety of styles. Crafted with a coccyx cut out shape, this type of kneeling chair is designed to relieve pressure on the lower spine while keeping the user comfortable. Not only does it encourage you to sit up straight, it also comes with different adjustments and colours to suit each user. A standard chair providing you with the support you need, this chair is a great purchase for anyone suffering from back pain. It is made with high quality wood and foam and is ideal for in the office or at home. The chair’s main aim is to contribute to a healthier back. With the added luxury of memory foam, this kneeling chair is perfect for those looking for a little extra comfort and reliability. Encouraging you to sit comfortably and upright, there’s no doubt this chair you will be satisfied to remain seated for longer periods of time. Kneeling chairs are fun, practical and versatile, but if that isn’t enough, you can read about the many other health benefits here. For our full selection of kneeling chairs, please click here.